While there is not a letter from the editor or a stated theme for the latest issue of Ninth Letter, by the end of the second piece I picked up on three complex and intriguing themes, as well as their various implications: death, grief, and loss. While not the cheeriest of themes, it is through them that each author removes her/his skin and invites the reader to enter into her/his life, to witness traumatic moments and how they can be perceived with lyric language. By doing so, the reader enters into an open field of awe , a place where she has to pause in order to collect her breath before moving on. Violence, death, and loss may induce a depressing and harrowing reaction, but the poeticism in this issue of Ninth Letter creates a vibrant presence of those complexities. In “Paleontology with Partner,” Chloe Krug Benjamin, for example, presents the reader with somber lyricism that has an undercurrent of curiosity, of facing death to figure out grief, of confronting the effects of violence to figure out how it reshapes the world. All of these elements pulsate throughout the entirety of the Spring/Summer 2014 issue of Ninth Letter. From the first essay to the last story, each piece in this issue stands strong on its own, but when placed next to each other, Ninth Letter becomes more than just another literary journal, but an un-repeatable force of literature. Jen Hirt, for example, kicks off the issue with her essay “Not Less than 1,000 Bottles for Horseradish,” in which the very first sentence is: “My great-grandfather starts the morning of December 25, 1913 with a gun to his head.” And so here we are, fifteen words into the journal and already those three aforementioned themes are Red rover, Red rover-ing us, urging us to send ourselves right over, to sprint towards the linked hands of memory and expression. Looking at language and imagery, the ways in which each author shows how violence and death undoubtedly creates vulnerability in both the victims, as well as those who survive them, this latest issue of Ninth Letter presents pages of vibrant and poetic imagery to bring the pain to an art. In Barrett Swanson’s “This Swift and Violent Forgetting,” he describes the moving image of his brother falling to the ground. “For the briefest of instants it looks like he’s levitating, and as his head arcs down toward the street before his feet follow him, he looks momentarily graceful, majestic, the snow falling in eerie slow motion behind him, but the hideous beauty of this moment ends abruptly when his skull flails back and cracks against the building's brick wall." Related to this are the ways in which the authors use language in original and inventive ways to induce an image with new meaning. Jamaal May says “The ocean has a star in its mouth” and Matthew Gavin Frank explains how “O foretells Oh, no." Brian Allen Carr contributes imaginative considerations of a person’s visage to the issue. “I looked down at my niece. At her blonde hair so soft you could sleep in it and at her eyes so blue they confused you.” Here, the reader is shown an alternative way of considering different elements of life. Finally, in perhaps the most poetic expression of death and decay, interviewee Jane Carlson says, “On a strictly visual level, decay can be beautiful. Corrosion. Rust. Chipped paint. 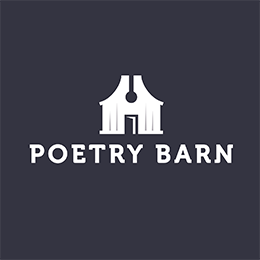 The kind of skeletal, delicate balance of an old wooden corn crib about to fall in on itself, of an old farmhouse, literally swaying in the wind.” All of these examples bring a type of beauty to violence and death, a new way of looking at pain. While Hirt states that “the past is full of mistakes,” these opposing concepts’ vitality and death meld together in order to show how mistakes can transform into a present tense sense of awe for those who remain. This is not my line, but that specific combination of those five words is too amazing to not repeat from time to time. Poet and essayist Lia Purpura brought this line/phrase/image into the world during a panel about the lyric essay at the 2014 AWP conference in Seattle, WA.